Arbory's 50-metre-long floating bar will take up residence on the Yarra for summer. 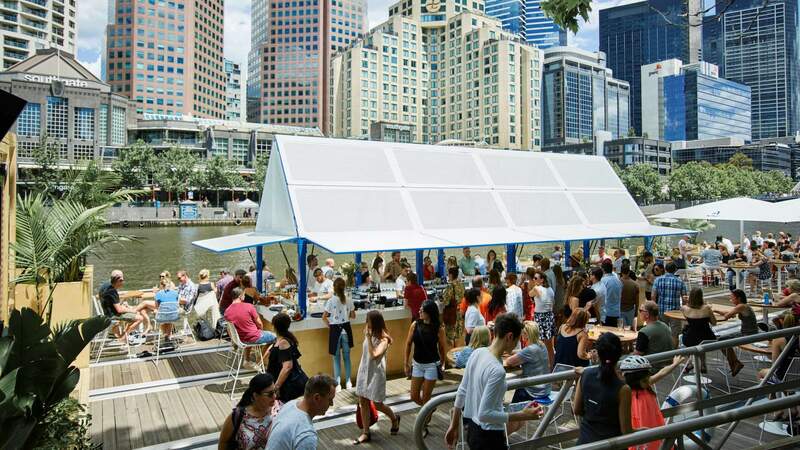 Melbourne's famed floating bar is back for another summer season on the Yarra, this time promising to be bigger and better than ever before. 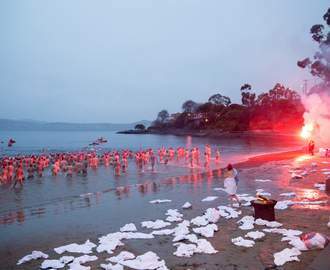 Arbory Afloat, which made its debut in 2015, is being reimagined this year as a sprawling, 500-square-metre floating pontoon, installed on the river in front of sister venue, Arbory Bar & Eatery. And it's a monster. Open to the public from Wednesday, November 15, the temporary bar and restaurant clocks in at a whopping 50 metres long, with room for 407 guests. Design-wise, this year's bar riffs on the beach clubs of The Mediterranean, accented in eye-catching Klein Blue and boasting a central bar, with a mix of day beds, banquette seating and restaurant dining. The breezy Mediterranean influence extends to the food and drink offering, with Chef Nick Bennett's laidback menu featuring seafood aplenty, house-made gelato and Neapolitan-style pizzas from the woodfire oven. Sun-drenched drinking sessions here will feature fruit-driven cocktails from an extensive, Euro-influenced lineup, and bespoke gin and tonic creations, crafted on a range of small-batch tonics and clever garnishes. Meanwhile, National Good Food Guide 2018 Sommelier of the Year Raul Moreno Yagüe has worked his magic on the wine list to deliver an offering that's fresh, vibrant and geared perfectly to summer sipping by the water. Arbory Afloat will open 7am will 1am daily.